Abstract: The popularity of wearable and mobile devices, including smartphones and smartwatches, has generated an explosion of detailed behavioral data. These massive digital traces provides us with an unparalleled opportunity to realize new types of scientific approaches that provide novel insights about our lives, health, and happiness. However, gaining valuable insights from these data requires new computational approaches that turn observational, scientifically “weak” data into strong scientific results and can computationally test domain theories at scale. In this talk, Tim will describe novel computational methods that leverage digital activity traces at the scale of billions of actions taken by millions of people. These methods combine insights from data mining, social network analysis, and natural language processing to generate actionable insights about our physical and mental well-being. Specifically, he will describe how massive digital activity traces reveal unknown health inequality around the world, and how personalized predictive models can target personalized interventions to combat this inequality. He will demonstrate that modelling how fast we are using search engines enables new types of insights into sleep and cognitive performance. Further, he will describe how natural language processing methods can help improve counseling services for millions of people in crisis. Tim will conclude the talk by sketching interesting future directions for computational approaches that leverage digital activity traces to better understand and improve human well-being. 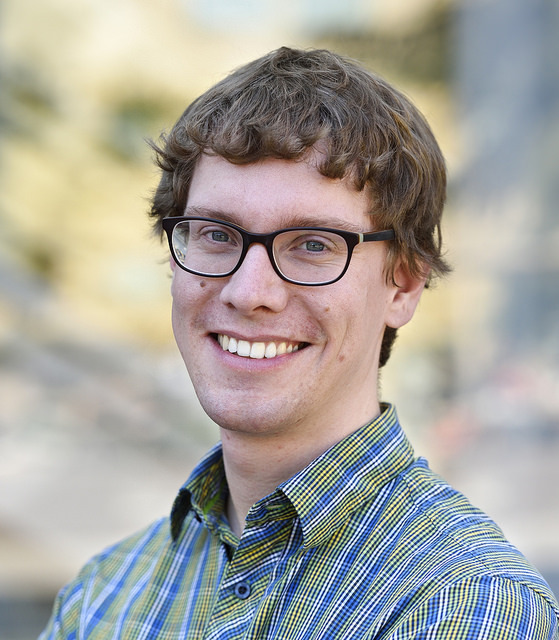 Bio: Tim Althoff is a Ph.D. candidate in Computer Science in the Infolab at Stanford University, advised by Jure Leskovec. His research advances computational methods to improve human well-being, combining techniques from Data Mining, Social Network Analysis, and Natural Language Processing. Prior to his PhD, Tim obtained M.S. and B.S. degrees from Stanford University and University of Kaiserslautern, Germany. He has received several fellowships and awards including the SAP Stanford Graduate Fellowship, Fulbright scholarship, German Academic Exchange Service scholarship, the German National Merit Foundation scholarship, and a Best Paper Award by the International Medical Informatics Association. Tim’s research has been covered internationally by news outlets including BBC, CNN, The Economist, The Wall Street Journal, and The New York Times.